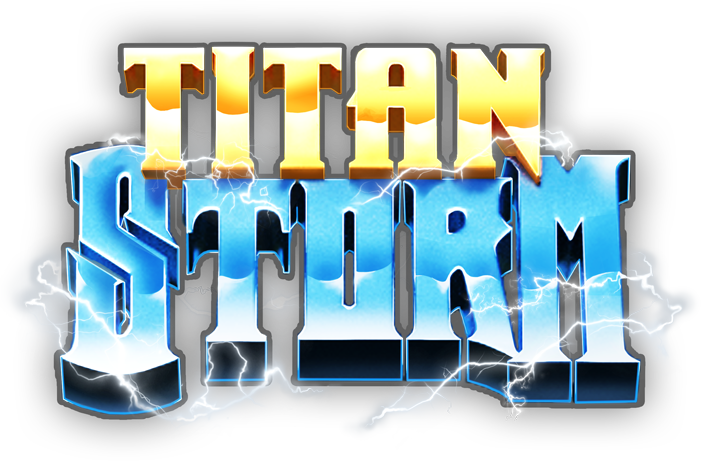 Titan Storm can be considered to be one of the greatest video slot machines that are available at NextGen Gaming. There is an Ancient Greek mythology theme and as soon as you start spinning the 5 reels you could start conquering the hidden riches of the Greeks. The game has some amazing graphics and everything is presented to you with some nice animations. Instead of the classic pay-lines you will find 243 ways to win. 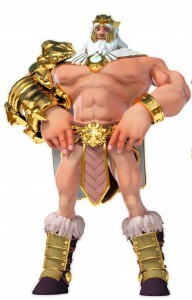 One of the most outstanding symbol available while playing this game is represented by the Zeus himself and it’s the wild. This can help you get countless happy memories, especially since this symbol has the power to replace any other symbol you need for getting winning combinations which will automatically mean money in your pockets. However the real money starts pouring in your pockets when playing Titan Storm and when you get the scatter symbols. These are the ones that hold the biggest payouts and they will be. When you get 3 scatters on your reels you will instantly win the Titan’s Storm Free Games round. 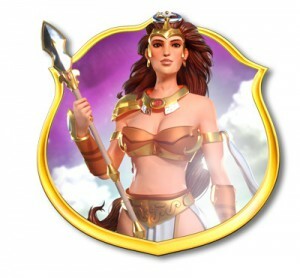 There are 10 free spins available and if you get during this round both the wild and scatter they will become a Scatter/Wild combined and this way you can retrigger the feature when you get 3 of this combined symbols. Another thing you need to know about this feature is the fact that if you get 5 of a kind symbols, the wins will be multiplied 5 times. Since the Titan Storm slot machine is using the 243 ways to win, you should expect to see winning combination of symbols a lot more often compared to the games where there is a specific number of pay-lines available. In case you are wondering what is the maximum amount you can pull out while playing this game, then you should know that there is the possibility to get a 2,000 coin prize. The amount of money that you have to pay in order to play this game starts at only $0.25 and goes up to $50. One of the very first things that should be able to impress you about Titan Storm is the graphics. It all begins with an outstanding and dramatic background. The symbols are all related to the theme of the game and it won’t be long before you make Titan Storm on your favorite NextGen Gaming list. 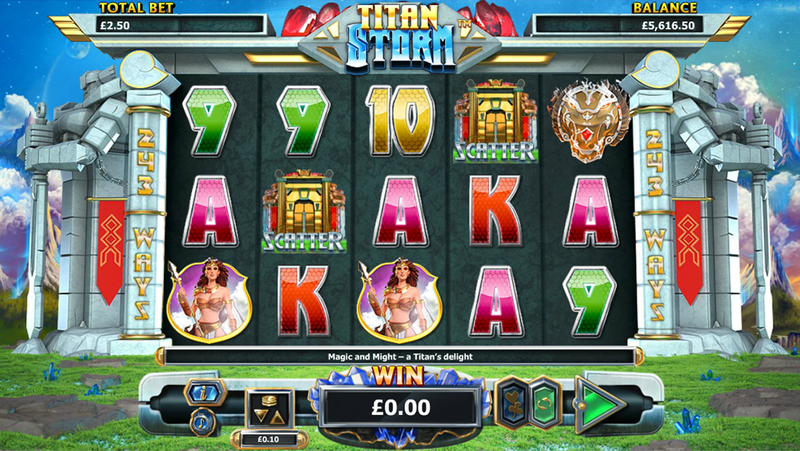 As soon as you start playing Titan Storm, you can notice the fact that there will be some amazing payouts available and since this is a high variance slot machine, you must always arm yourself with the right amount of patience and a big win will eventually come. There are many things to like about Titan Storm and every time you play it you should be able to make sure that you are utilizing a proper bankroll management. Your mission while playing this game is always going to be to get a bankroll ahead of the one you’ve started with and since this is one of the best releases from NextGen Gaming, this won’t be a difficult thing.